The Importance of Earnest Service » Blog Archive » Service of What Changed? Is This a Breakthrough Against Nasty-Talk? 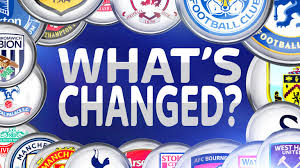 Service of What Changed? Is This a Breakthrough Against Nasty-Talk? Until now there have been few [if any] things about which a chunk of lawmakers from across the aisle could agree; the same with Trump supporters and detractors. It took a Trump aide’s nasty comment about Senator John McCain–“he’s dying anyway”–for a significant number of Republicans to speak up. Someone in the administration crossed a line and Democrats and Republicans alike immediately cried “foul!” and didn’t stop for days. That is, except the president and some others…more about them later. Kelly Sadler said those mean-spirited words about a hero during a White House communications meeting discussing Gina Haspel’s nomination as CIA director. McCain didn’t support the president’s pick because, during senate hearings, Haspel refused to say torture is immoral. McCain knows about torture. Thehill.com quoted Lindsey Graham’s reaction to Sadler. 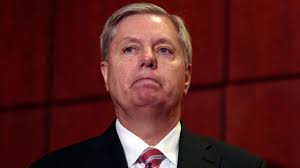 His word: “disgusting.” And Graham wasn’t the first or the last to urge the White House to apologize. According to The Republic/azcentral.com, Senator Jeff Flake posted “There are no words” on Twitter to which John Kerry replied, “Actually, Jeff, you’re too kind. There are words-four letter ones.” Mitt Romney, according to azcentral.com, said that John McCain “makes America great” and “those who mock him only humiliate themselves ‘and their silent accomplices.’” Ohio governor John Kasich also called for a White House apology. As many as five days after Sadler spoke, New York City radio talk show hosts continued to criticize the spiteful words. 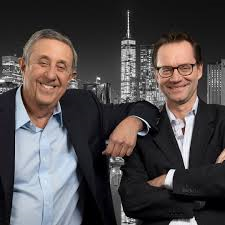 This Tuesday morning drive time talk show co-hosts Len Berman and Michael Riedel, WOR 710 AM, mentioned the incident for the second day and urged the White House to make a public apology. Riedel is a Trump supporter. There’s always an outlier. A retired general on Fox Business network said that “torture had worked on the Arizona senator…. 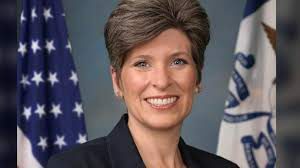 ‘That’s why they call him ‘Songbird John.’” Does he remember that the Senator stayed with his fellow captives when he had a chance to leave prison first? To take away a bit of the credit I gave the Republicans who spoke up, when Republican senators met with the president on Tuesday, not one brought up this subject or asked him to apologize. What is it about Kelly Sadler’s words that struck a chord when previously so many other abhorrent comments and taunts have gone unnoticed by all except members of the opposing political party? How come the sting of these three words lasted so long? Could this be a turning point where some politicians regain a conscience? Why is it so hard for some to apologize or admit to making a mistake or hurting another person’s feelings? This entry was posted on Thursday, May 17th, 2018 at 10:53 am	and is filed under Apology, Nasty, Negativity, Politicians, Politics	. You can follow any responses to this entry through the RSS 2.0 feed. You can leave a response, or trackback from your own site. I could write endlessly about this, but the glaring problem is that we have experienced a complete breakdown in what was once called a civil society. Along the way we have been in this by social media, tabloid journalism, the letting-it-all-hang-out ideology of the Sixties, and many other contemporary malaises…Is it too late to put the genie back in the bottle? As far as I am concerned, this is the bottom of the barrel. An apology, whomever it is by, is not enough. I have no wish to be a citizen of any country which harbors citizens who think like Kelly Sadler. Were I younger, I would explore trying to emigrate to live in a more civilized place. What to do about Sadler and all her ilk, including Trump? If they think torture is so great, let them try it. Subject them to summary judgment by “false” truth tribunals to be tortured and then discard them, like the garbage that they are. For the record, like Senator McCain, I am a life long Republican and consider myself to be a conservative. Martin wrote on Facebook: Some feel that an apology means weakness when, of course, it’s quite the opposite. I do not think the president has an emotional or rational sense of his role in nearly all matters. He plays the same defensive and childish games he always did from what I’ve read and seen over the many years. Sadly, he will leave his imprint upon the office and will be noted in American history as the authoritarian populist era, led by an aberrational, yet ultimate tragic protagonist. Your observations ar on the mark. He hurts deliberately, maybe because he also was hurt – but that’s a guess. There are organizations, such as The Christophers, a client, who recognize and honor authors, illustrators, writers, producers and directors whose work “affirms the highest values of the human spirit” and whose publishing, radio and awards programs are guided by the ancient Chinese proverb, “It’s better to light one candle than to curse the darkness.” The Christopher Awards presentation happens tonight. But this organization is not alone. There are groups such as “The Kindness Challenge” –I read their posts on Facebook–and many others like focus on uplifting, positive works and stories. We can hope that together they, and others, such as millions of parents, are able to find a bottle with a bigger neck into which those with no empathy might be sucked in and disappear. Those that condone nasty behavior will always exist but let’s hope there will be no more than 15 percent of voters and people who are polled….not the 40 percent today. You are not alone to express such anger. It has been building daily for far too long but unfortunately not everyone gets what’s going on. Millions are bamboozled by leaders who express hate and disdain and show no empathy for others. Don’t citizens realize that they–or family members–might be a step away from being themselves attacked or discarded because of disabilities or where they were born or what they look like or how they speak or where they live or how they make a living or where they worship or whom they love? Does this Sadler person have no grandparents, parents, aunts or uncles she loves? Will she toss them aside as having no importance when they inevitably succumb to one or another disease, can no longer jog and ski and dance? Geesh. I agree about the game playing though the stakes are so high for games. This post was as much about those who previously condoned thoughtless actions and nasty taunts by their silence and who have finally spoken up. So how come this time? Will this continue and spread? Will they next notice how he doesn’t support people who have worked for him–even people with extraordinary resumes? These volunteers remind me of the naive bride or groom: “He’ll/she’ll stop _______[fill in the blank] once we’re married. I’ll make the difference.” It never happens. It’s tempting to become outraged by the White House twit’s insensitive remark about the Arizona senator, but after the dust clears, who does one imagine is standing there? Some poor soul whose intellect threatens to compete with that of a retarded pea. What happens now? Instead of squashing the unfortunate remark, thus sparing the senator and his family unnecessary grief, the blithering of a fool makes national headlines! Looks like that pea has more competition than originally believed. 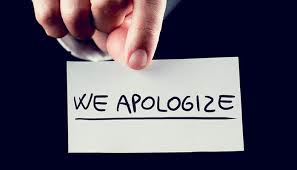 If any apology is due, it should come from those who made sure the incident became a three ring circus at the expense of a cancer victim and his family. That’s just it! Why did the media and politicians–even Republicans–pick up on this and not the countless other mean-spirited words spoken or written not only by the tweeter in chief but by the lemmings who follow his insensitive lead including Ms. Pea brain? The president once mimicked reporter Serge Kovaleski who has a degenerative disease affecting his arms and politicians on both side of the aisle and pundits didn’t disparage DT for that for days and days. His latest gem is to call people “animals.” I love animals but he doesn’t have any at home [one of the few presidents without dog or cat] and therefore he meant this as an insult. The longer people in the WH stick around, the meaner they seem to get. That’s normal: staff mimics the tone set by the boss. The public needs to know so that when it’s time to vote citizens can decide whether this approach is their cup of tea.